Relatively common, but higher grade examples in MS and AU are just a little on the scarce side. 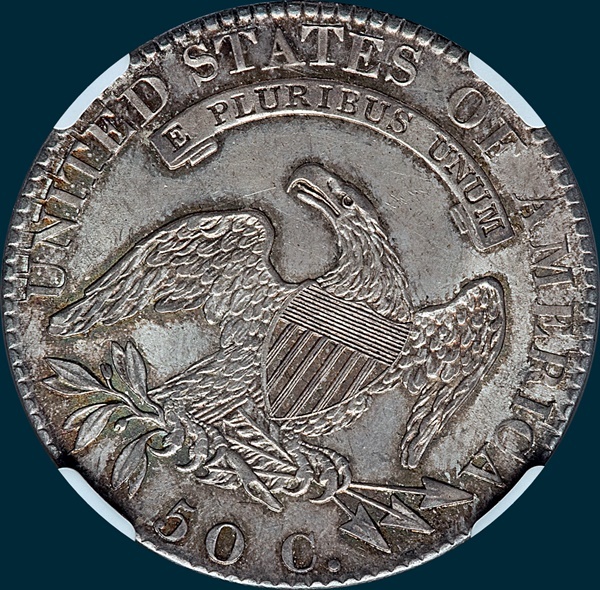 NGC Graded XF45. A thick layer of toning coats this colorful example. There is quite a bit of luster remaining, subdued by the toning. 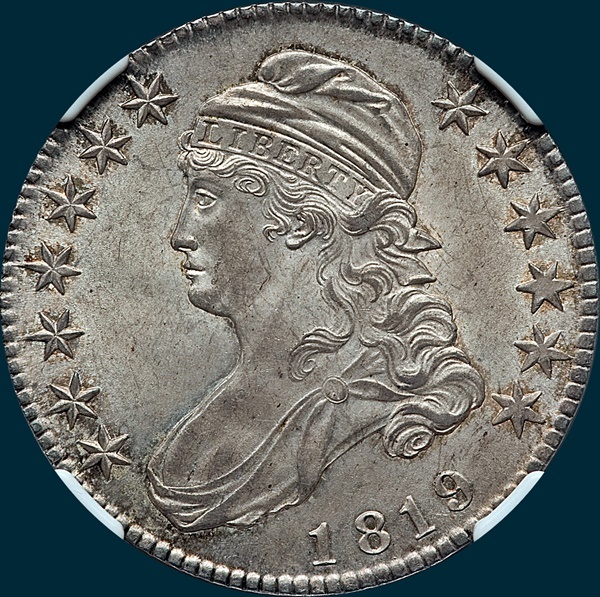 Variety Attribution: Obverse-Date is close a close 8 3/4 mm. and 18 is wider than 819. Late states develop a fine crack from edge through lower point of star 12 to bust. Stars 1 and 2 are closer than other stars. Reverse-50 C. is 2 mm. and low. Arrow to A is slightly over 1/2 mm. E in STATES is much lower than adjacent T and R is higher at base than I.